The Ruffwear Haul Bag is a dog gear bag that makes it easy to organize your dog's essentials during travel. 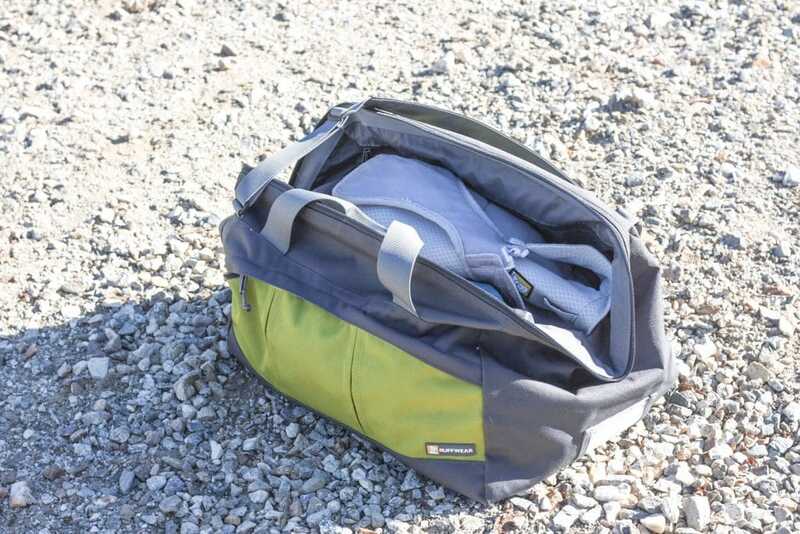 With ample storage space and organizational pockets, it makes it easier to keep everything organized and ready to go. 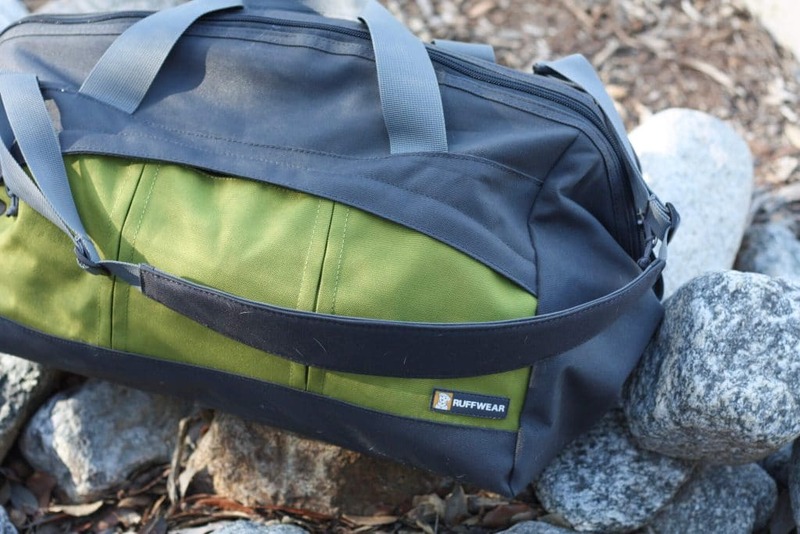 Let me preface this by saying that you could certainly just use an ordinary duffle bag as a dog gear bag but as a gear head and someone who loves a good mix of form and function, I think the Ruffwear Haul Bag is an excellent pick up for people who like to bring their dogs along on adventures. 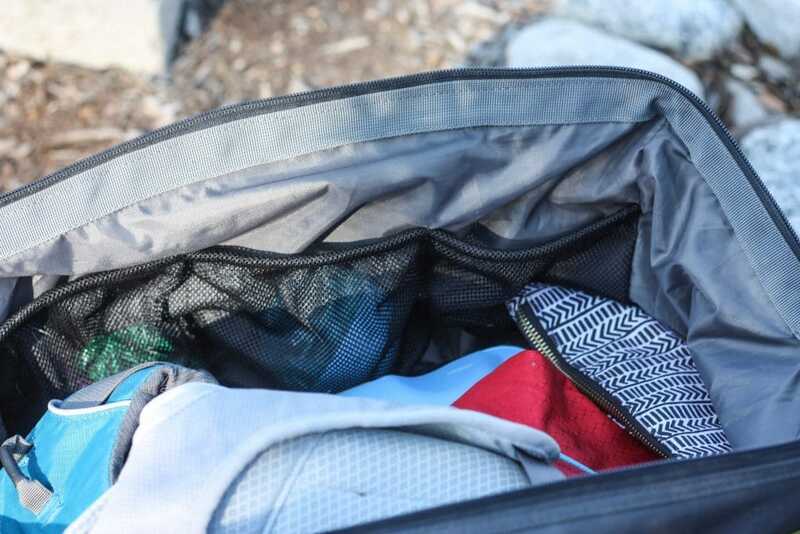 I like to bring my dog Albus camping and honestly, having a gear bag just dedicated to his stuff is handy and convenient. If someone else is watching him for a weekend, I’ll send him along with his duffle and they have everything they need in there organized and ready to go. A lot of dog trainers also love this dog duffle bag for carrying around their training gear. Ruffwear has a reputation for building high-quality dog products and this bag is no exception. This post may contain affiliate links. Please see our disclosure page for more info. 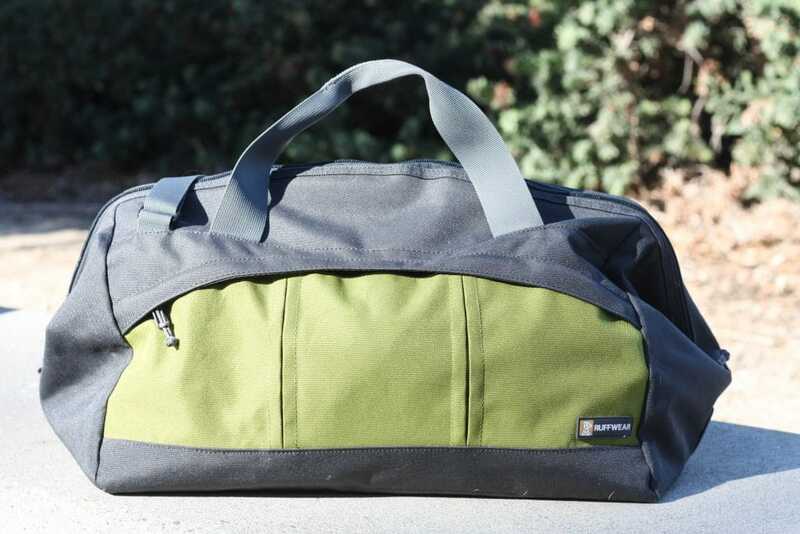 The bag is well-built, sturdy and feels good to use. It’s nice to know you can just toss it in the back of your car or on the ground at a campsite or other outdoor spot and not worry about it getting too beat up. It definitely feels like it can hold up to some abuse. How it Opens – Ruffwear calls this a “gatemouth” opening which fully opens the top of the bag into a rectangle. 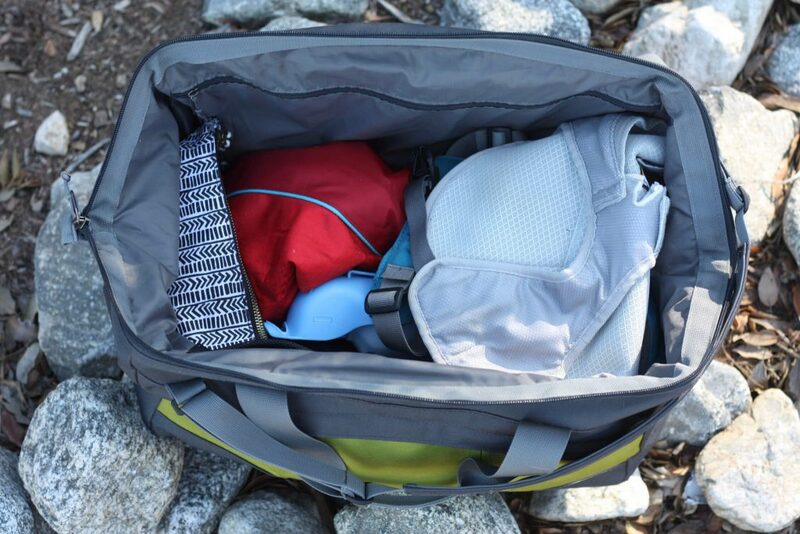 Being able to unzip the bag from side to side makes getting things in and out of it a breeze. It opens up wide so that you can see inside the entire thing without having to fumble around looking for something. 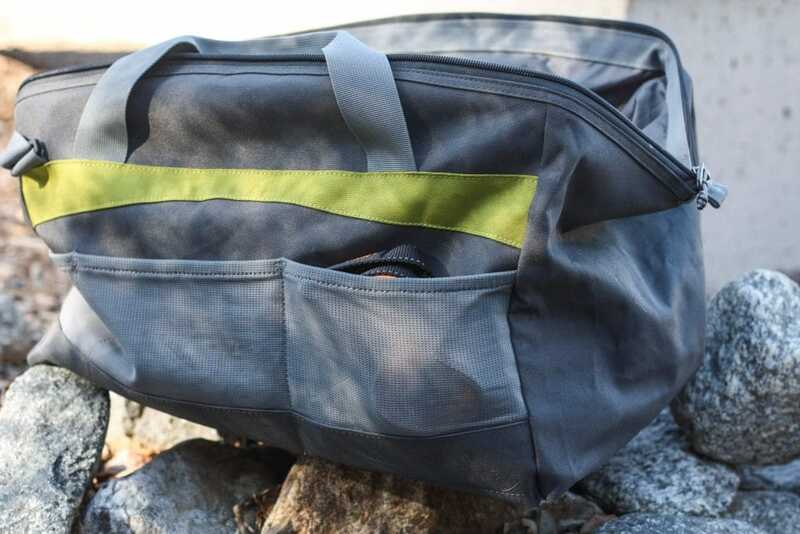 Organization – This bag has plenty of pockets on the outside and inside to organize smaller items without getting them lost. The bigger portion of the bag is perfect for bringing bigger items. Color options. Currently there is only one color option and to be honest, I wasn’t stoked on it. Obviously this is totally a matter of personal preference so if you like the color then you’re in luck! I think it would be great if there were another color option or two available. Price. Price is always subjective but I do think this is a little on the high side. Then again, it’s durable and high-quality and if it lasts for years and years, it’s worth it in my mind. 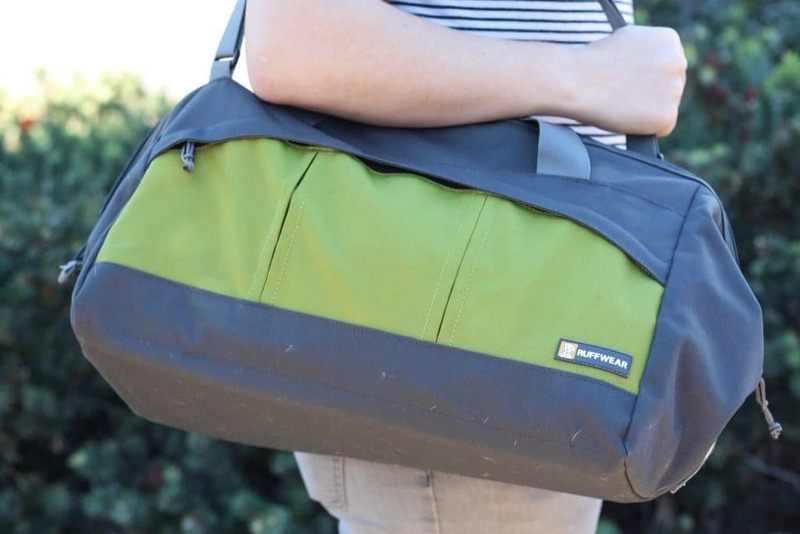 If you’re taking your dog on adventures a lot, I think this is a great bag to bring along. It’s an easy way to stay organized and always have exactly what you need plus it’s well built so you aren’t likely to have to buy another one anytime soon, if ever. Click here to pick up the Ruffwear Haul Bag. What is an Electric Mountain Bike?